The following standards and accepted options apply to grades K-12. All uniforms must be purchased from Uniforms by Tommy Hilfiger online. Tommy Hilfiger has sales throughout the year, therefore it is suggested to sign up for their email notifications. 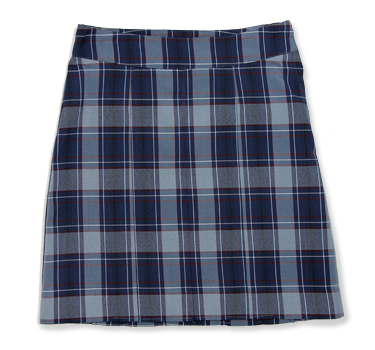 It is best to order uniforms as early in the summer as possible so they will arrive by the beginning of school. Elementary students have PE two days each week. On PE days, students are required to wear their PE uniforms all day. School Uniforms by Tommy Hilfiger carries our required PE t-shirts and athletic shorts. For PE shoes, students may wear any brand non-skid tennis shoes and white socks. Middle School or High School students that choose a PE elective are required to dress out for PE. School Uniforms by Tommy Hilfiger carries our required PE t-shirts and athletic shorts. For PE shoes, students may wear any brand non-skid tennis shoes and white socks. After PE, secondary students must return to their classes in regular uniform. Students have choices of outerwear they may choose from School Uniforms by Tommy Hilfiger. No other jackets or hoodies may be worn on campus during the school day or during field trips. If temperatures are below 55° students may wear a heavier coat while outside, but it must be removed upon arrival to class. Please see the student handbook for more detailed uniform information.